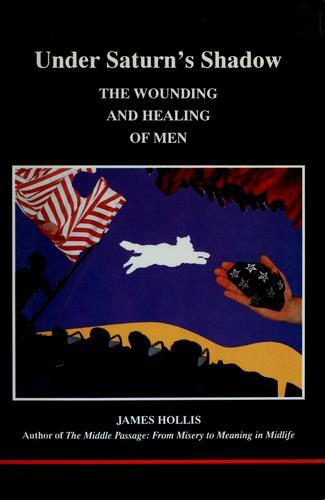 New from the author of The Middle Passage: From Misery to Meaning in Midlife is this synoptic view of men’s wounding, men’s healing and where things currently stand for men. Saturn was the infamous Roman god who ate his children in an attempt to stop them from usurping his power. Men throughout history have been psychologically and spiritually burdened by the Saturnian legacy, suffering from the corruption of empowerment, driven by their fear of women and other men, wounding themselves and others. Under Saturn’s Shadow addresses these issues and many more, suggesting concrete ways in which men may reclaim their sense of personal integrity. Women as well as men will find this book well worth reading, not only for its revelation and elucidation of the secrets men carry in their hearts, but also for its rich perspective on what we all must do to free ourselves from the worst influences of patriarchy. The French General Lyautey was admonished, as he set out to plant a certain sapling, that the tree would take a hundred years to reach full maturity. “Why then we must begin this very afternoon,” he replied. So, we too must begin this very day. Each of us is part of the problem, or, individually, part of the solution. Until all are free, none are. It is time to stop the lies: time to oppose those who say that one is a man when he has power over another man, or a woman, or a child. It is time to oppose all who would oppress others—fearful bigots, unctuous politicians and the like—and, most of all, time to oppose the tyrranous silence that perpetuates Saturn’s rule, shaming and separating men. Let the secrets of men be told. They are the Lilliputian threads that will bind the giant. To join the revolution does not oblige one to stand on a soapbox. It means that one starts to be honest about one’s own life. The revolution begins at home, with oneself. . . . The revolution begins when men stop deceiving themselves, when they acknowledge and take responsibility for their secrets. They will still have to struggle and suffer, but they may now be honest. . . . The man who walks out from under Saturn’s shadow in his personal life is also doing a great thing for others, whether they know it or not. He has learned that no one has power over him if he does not give it to them. He has recovered the worth of his own soul’s journey.